On May 18, 1977, the world first celebrated International Museum Day. Museums participating in International Museum Day include art collections, music theaters, cultural centers, and natural history museums, such as this one in Santana do Cariri, Brazil. 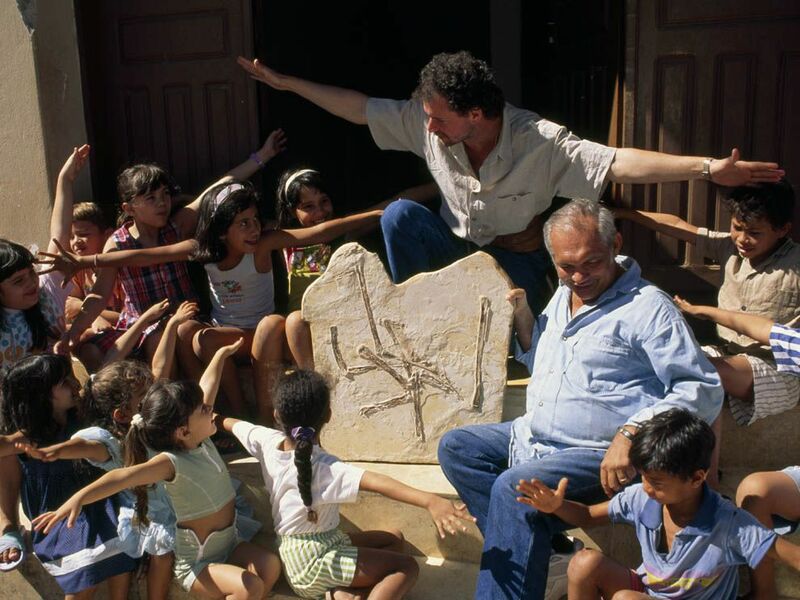 The Museu de Paleontologia (museum of paleontology) focuses on pterosaurs—and students can help dig for fossils! On May 18, 1977, the world first celebrated International Museum Day. Each year, the International Council of Museums chooses a theme for the celebration. In 1992, for instance, the theme was “Museums and the Environment.” In 2017, the theme is "Museums and contested histories: Saying the unspeakable in museums." More than 35,000 museums participate in International Museum Day. Each museum offers different activities. The Museu de Arte Moderna (Museum of Modern Art) in São Paulo, Brazil, for instance, offers a “sensorial tour” of its sculpture garden aimed at hearing-impaired visitors, with information translated into sign language. The National Museum in Lagos, Nigeria, will offer essay and painting opportunities for elementary school students. The Jewish Museum of Australia, in Melbourne, will offer visitors a rare behind-the-scenes look at how historians and curators collect and display objects. Kids of all ages will put together gigantic puzzles at the Museum of San Carlos University in Guatemala City, Guatemala. One of the signature events of International Museum Day is the “European Night of Museums.” At this continent-wide event, museums stay open until 1 a.m.! Some of the events include “night tastings.” At the Natural History Museum in Grenoble, France, for instance, the tasting will put a focus on the museum’s spider exhibit. Visitors will be invited to eat a giant “cocoon”—cotton candy! silky covering spun by silkworms and other insect larvae in which they live and develop during the pupal stage. having to do with one or more of the senses: sight, smell, taste, hearing, or touch.